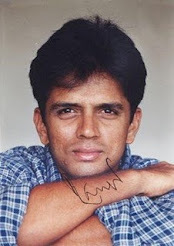 Rahul Dravid: RAHUL DRAVID THE BEST TEST BATSMAN IN THE WORLD? There are 2 comments for RAHUL DRAVID THE BEST TEST BATSMAN IN THE WORLD? yeah..DRAVID is the greatest batsman in the world.There is no doubt in tht.n he is the best Indian captain also.